Are you thinking about using a cloud hosting London service for your business? If so, you likely want to learn a little bit more about what it can do for your business before you make the move. The cloud-computing market is only growing in popularity and influence. In the last year alone, it grew by 21%. The cloud-computing market is always evolving. Are you keeping up? 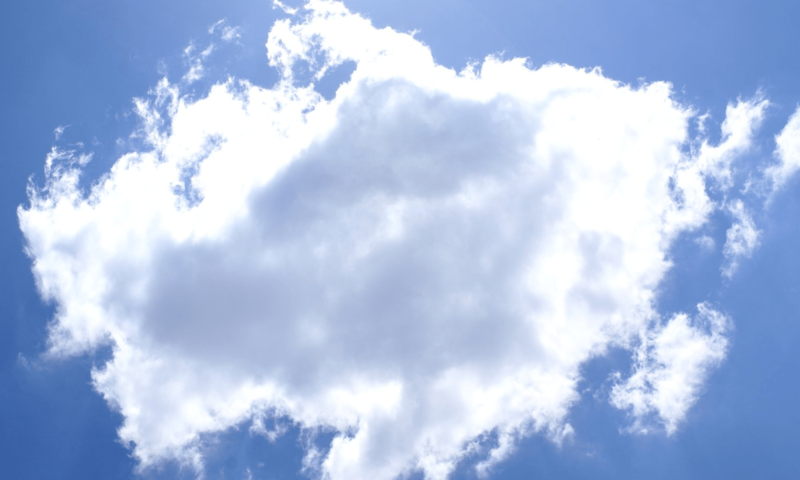 Here, we’re listing 8 of the many benefits of using the cloud. You know that, in an office, everyone has different strengths. But when you’re on a deadline or preparing for an upcoming presentation, waiting around for everyone’s input can be frustrating. That’s just another reason why cloud hosting London services are so valuable. Collaboration on pitches, documents, contracts – you name it! – is easier than ever. Simply store your files to the cloud desktop, and your coworkers can edit and access it in their own time. You’ll also have access to their edits and inputs. This way, you don’t have to cram everything into your one-hour weekly office meeting. Computer crashes can be incredibly stressful. First, you have to deal with a potential loss of weeks or even months of data. Then, they also cost you several hours of work time. Thanks to cloud software, disasters like these, and other operational issues, are far less common. This is due in large part to the standardised nature of the software. It’s also because of the continual operational updates your service provider rolls out. Also, you’ll notice a greater sense of continuity in your workflow. This is because the cloud is created to let you use the same service or feature multiple times. Even better, it delivers the same outcome each time. No surprises! We mentioned the collaborative effort made easier by cloud hosting London services. Also, document control is another issue that the cloud takes care of. Before the cloud, you’d likely send multiple versions and file formats of the same document to several different members of your team. This means that all too often, people worked on the different versions of the file. The cloud eliminates this frustrating waste of time from happening. How? Because the file is centrally stored, and all updates and changes are made to a single file. This is especially helpful if you’re collaborating with employees or other companies in a different time zone. Anything you can do to prevent errors and streamline your business is well worth it. Is there anything more irritating than being in a great workflow, then all of a sudden a little button pop-ups in the corner of your screen? Is the button pestering you to shut everything off and run yet another update? Luckily, with cloud-computing, you can avoid this inconvenience. Since the servers are off the premises, it’s the suppliers who will be running your updates for you. They’ll even handle your security updates, so you can focus on doing what matters most to your business. Working remotely is becoming more and more popular (why waste time sitting on your commute when you could already be at work from the comfort of your home office?). As a bonus? The majority of London cloud hosting services are also optimised for mobile applications, meaning all your data is with you wherever you go. Plus, if you’re a business owner, your employees will love the flexibility that comes with performing tasks on multiple devices. Likely, you’ll see an overall increase the productivity of your workforce. With hacking on the rise throughout the world, we know that cyber security is a top priority for many individuals and businesses. Your cloud hosting London service has already taken the steps to protect your data and privacy. First of all, if you do lose your laptop, the cloud will allow you to erase your hard drive remotely. But don’t worry about losing the data. You can still access a backup from the cloud. Plus, with all the extra security measures, key protection, and constant updates of the cloud, your data is iron-clad. We know you’re always looking for ways to get the upper hand over your competitors. You should know that using a cloud hosting London provider is a great way to stay two steps ahead of your competitors. Why? Because you now have access to the best, and most up-to-date, technology the market has to offer. You’ll have the speed you need to do your business faster, and you can track communications with vendors and clients at the touch of a button. You can also keep better data on your orders. Plus, because many cloud service providers offer a pay-as-you-go option when it comes to storage, you will always find a package that fits your budget. This means you can compete with bigger names. After a business merger or acquisition, integrating the IT operations and processes two companies into one can be challenging and time-consuming. With cloud hosting, however, it’s easier for the two companies to consolidate documents, combine business processes and address other IT-related challenges. Ready to Find a Cloud Hosting London Provider? Now that you’re up to speed on all the awesome things a cloud hosting London platform can do for your business, chances are you’re ready to find one of your own. For more information, to get additional questions answered, and to learn more about the products and services we offer, feel free to get in touch with us.